Cameo has a number of celebrities and athletes available for paying customers, including two former Pompey stars and an ex-manager. Avram Grant, who was in the dugout at Fratton Park between 2009 and 2010 leading the Blues to the FA Cup final, is one of the stars signed up to the service. And he is charging the most out of all the famous faces under the ‘soccer’ section on the website. Grant is asking fans to fork out $1,000 – which is around £770 under the current exchange rate – to have a video sent to him. However, on his Cameo profile, the football manager states that the money will be donated to charity. Grant has a five-star rating on the website, with a single review praising his service as 'awesome’. Fans are able to have the message texted to someone as well as sent by email – and you can leave specific instructions with what you want the celebrity to say in the message. Other stars who are on Cameo include former Pompey players Jermaine Pennant and Kevin-Prince Boateng are also on Cameo and they are charging hundreds of dollars to send personalised videos to fans. 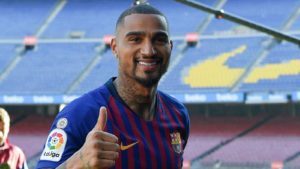 To get a message from newly signed Barcelona star Kevin-Prince Boateng, who was part of Avram Grant’s Pompey team which was narrowly defeated by Chelsea in the FA Cup final in May 10, you will have to pay $125 – which is just under £100. 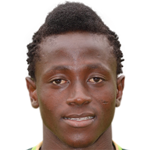 Portsmouth new boy expected to miss trip to Plymouth Boateng seems to be a popular choice with a 4.9 star rating based on 20 reviews – with one saying: ‘Fantastic. Absolutely fantastic. Good banter and the delivery was superb. Thank you Prince!’ While Jermaine Pennant is charging fans $250 – the equivalent of £192.73 in the current exchange market.